Product prices and availability are accurate as of 2019-04-20 15:45:24 UTC and are subject to change. Any price and availability information displayed on http://www.amazon.com/ at the time of purchase will apply to the purchase of this product. Koblenz has developed high quality floor care products for over 40 years that are targeted at solving real consumer needs in the both the domestic and industrial markets. Quality is designed into the product from its conception. An uncompromising commitment to quality and customer satisfaction is our goal. Finally a line of 12-inch floor polishers designed and built to last. The Koblenz machines scrub, polish, buff, wax and shampoo all kinds of floors and carpet with professional results and little effort. The twin brushes rotate in opposite directions providing stability for easy handling and superior cleaning. All metal construction two speed 4.2 amp motor is the most powerful available with full width bronze gears for extra long life. 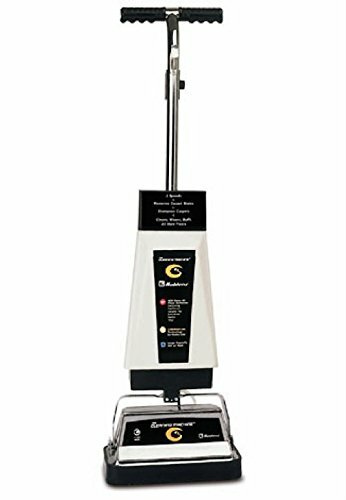 Floor/carpet cleaner and polisher includes one pair of carpet shampoo brushes, one pair of scrubbing brushes, one pair of nylon scrubbing pads, one pair of nylon cleaning/polishing pads and one pair of lambswool buffing pads. 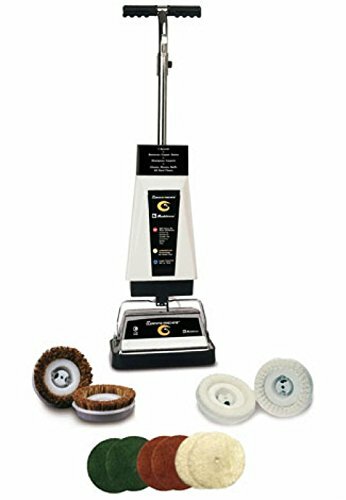 The carpet and scrub brushes have a flow-thru design to deep clean most types of floors and carpet. The carpet shampoo brushes are made of polyethylene bristles that are gentle on carpet fibers. The scrub brushes are not recommended for wood floors or carpet. Scrub brushes also work as the base support for cleaning and polishing pads. The pair of green scrubbing pads have weaved nylon fibers to scrub heavily soiled floors and remove wax build up. Green scrubbing pads are not recommended for wood floors. The pair of tan nylon cleaning and polishing pads will gently clean floor surfaces and redistribute wax for initial shine. The pair of lambswool buffing pads have a foam backing and will bring out a fine luster without leaving swirl marks. All scrubbing and buffing pads fit over the scrubbing brushes with plastic retainer clips. 144-ounce tank holds all types of cleaning solution.